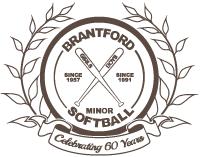 Softball Ontario is encouraging softball associations across Ontario to adopt the Tim Horton’s Learn to Play Program developed by Softball Canada and provincial softball associations throughout the country. Learn to Play, along with BlastBall, is a great way to make the beginner levels of softball more fun and active for all participants. The Tim Horton’s Learn to Play Program is designed to be a young person’s introduction to the sport of softball. The emphasis in on FUN, ACTION, and a POSITIVE ATOMSPHERE, with a gradual introduction to non-stressful competition. The kids will have FUN, and they will want to come back for more!